Yes, Bob, many Africans know it’s christmas, now please stop! I think I am going to scream if I hear that song one more time. I am seriously going to f***** scream. There I was, minding my own business last weekend when I heard that Bob Geldof wants to make more money and gain more fame off the backs of people who don’t have a clue he’s doing it, nor how the world is going to perceive them for another couple of years. And it makes me so angry. Let me tell you something, I didn’t know anything about band aid or that stupid song until I came to Ireland. Absolutely nothing. I was six years old when USA for Africa released their Quincy Jones led and Michael Jackson, Lionel Richie written song, “We are the world“. It was the US’s efforts to do exactly what Geldof was doing and I remember that song playing every Christmas in Zambia right up to the time I was ten. Over the years, we stayed up to watch, first the ‘making of’ documentary, and then the video of the song. We learnt the words, we sang along, we loved seeing all the big stars, we loved that it was so inspirational. Those of us with black and white TVs listened jealously as those with colour described all the colours and clothing and then joined in as we all moved to clour sets. We were alive with music, we were inspired by the message. Feeling sorry for those less fortunate than us, wondering what changes we could make to make the world a better place, and feeling awful for those poor Ethiopians who were suffering so badly – it was just inspiring. The big “USA for Africa sign in the background? meh. Didn’t even register as a charity song. I saw it more as a sign we were twinned somehow with that great state. USA and Africa, together, being called out to save the world. Those were the feelings evoked in me. And I had another listen to the song today and hell, it still evokes those thoughts. Never, ever, ever, did we see this Africa as something we were separate from or as lesser than anyone else. Never did I see it as a world apart, we are the world was very clear. All of us, every single one of us. So here’s the thing with that band aid song. To be completely honest with you, I didn’t know what it meant, in the eyes of the west and in Europe, to be “Black African” until I got here. I walked around most of my life being a member of the Tonga tribe, being Zambian, being female, and finally being black and at the very last, being African. Disapperaing into crowds, unnoticed, blending in, just another person in the rainbow of people on the streets of Lusaka and Windhoek. And when I came to Ireland, I was none of these things. In the eyes of the Irish, I became a black African. Always first, rarely anything else. All the things I was never brought up to believe about everyone from a whole entire continent. Certainly not from my continent. And this is describing the whole continent of Africa to a world of people who have never been there. A continent of 54 countries and teh second largest continent on this earth? Do these people even bother with Geography and weather patterns? b) that Africa is one homogenous mass, a huge country made up entirely of black faces that you see on TV. when nothing is further from the truth. Seriously? Dude, you were in Ethiopia. It wasn’t happening in the whole of Africa. In fact, it wasn’t even happening in the whole of Ethiopia. If there was a war on in Germany, he wouldn’t describe it as “what’s happening in Europe”. And yet, the perpetuation that Africa is one country without borders and regions is constant, and celebrities and charities see nothing wrong with continuing to portray the poor and vulnerable, and only the poor and vulnerable and war-torn sides, for their own reasons. Bombarding the west with images of black, always black, African people; naked children in their suffering, stripping them of the dignity they have already lost…how is that in any way charitable? You see it especially at christmas. That song comes up on VHI, and is immediately followed by Concern and Trociare adverts showing starving black African children. Skeletal babies who have not been asked permission to be portrayed millions of miles from home as the face of a rainbow continent which is bigger and brighter than that. Yes, yes, we all know the marketing gimmick: show people a human face and a story and make it memorable. The human mind is made to build associations. And that is exactly what it does over and over when these two things, the song and the ads, play on continuous loops. The African as other; the African as black, the African as starving and helpless and hopeless. The pound given to the churches for the black babies. For them. The shoe boxes sent with christmas presents for them. All those white musicians showing how “other” the Africa they sing about, is. I didn’t know this Africa until I got here. I am yet to see this Africa because that has never been my experience. Don’t get me wrong. There are pockets of people dying from famine and war, but the whole continent isn’t. And now that bloody song, thirty years old, is getting taken off the shelf, dusted off, given a good clean and getting sent out into the world to make another generation of English, Irish and other western children remember what we, as Africans, supposedly are. And I sit in the office as this song plays and I want to hurl the radio across the room. And all the black children in Irish schools? how will they be seen now and for the next thirty years? The next, called upon to “just give us your f**** money”, and but that stupid song and remind you they are other, that we are other. And now, where a kiss of love can supposedly kill you.….seriously? 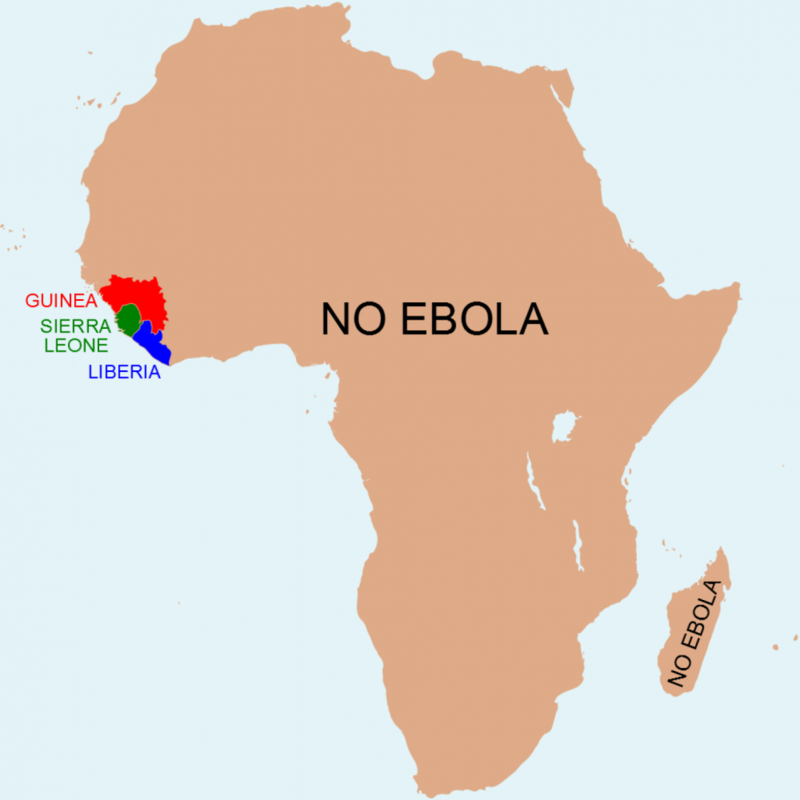 Never mind that Ebola is in four small countries on the western coast of the entire f***** continent and is being successfully contained by local governments as we speak. There was absolutely no need to rerelease that stupid song. There was absolutely no need to continue portraying a whole continent of people through this stupid song. Never mind the disrespectful christmas thing on a continent where there are so many beliefs, non beliefs, cultures and traditions. So, yes, Bob Geldof, many Africans know that its f***** christmas because they’re Christians, many of them don’t because they’re not, and noone needs to buy your stooopid f****** song change this world. Its hard enough being black in this country without that stupid f*** song being played everywhere. Well said. That line “thank God it’s them instead of you” always made me very uncomfortable. I couldn’t believe it the first time, glad they took it out but still a rubbish ignorant song that’s just cringeworthy. Yes, yes a million times. This does nothing to get rid of the perception of Africa as one famine-stricken country, and likely damages its reputation as a continent of many resources and growing economies. The geographical inaccuracies (according to the song theres no rivers. Or rain. Ever) and the line “thank God it’s them instead of you”… just make it stop. The whole thing is just completely awful. It’s bad enough it was popular 30 years ago but in this day and age it’s just unnecessary. thet no rain no rivers line just burns me up! Excellent post!!!! I think the song has good intentions at heart BUT it was and still is extremely ignorant. I got a very bad taste in my mouth when Bob criticized a popular singer for “ignoring” him and having better things to do with her time. Thank you for educating me about your country. What an inspired blogpost. Brilliant, just brilliant. Just like Christine and Lisa said above, I remember even as a ten year old finding “Tonight thank god it’s them instead of you” difficult to swallow. You’ve just shown me a whole different side to all of it – great post. Thanks Andrea. I have and always will hate that song. I haven’t heard it since last weekend, which I’m so grateful for.